CF-104 Starfighters were built in Canada by Canadair beginning in 1960. The Lockheed design first flew in 1954 and was used by many air forces worldwide. Reaching speeds of over 2,300kmph the Starfighter was a very capable interceptor and nuclear delivery platform. The RCAF took delivery of Starfighters beginning in 1962 and finally retired the last examples in 1984. 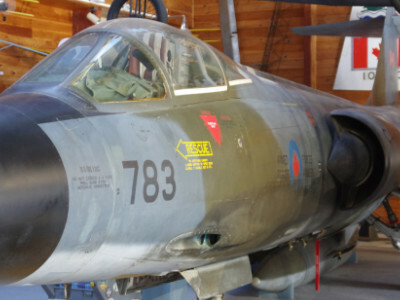 The Museum’s Starfighter served with 417 Squadron and spent her entire career at CFB Cold Lake, Alberta. 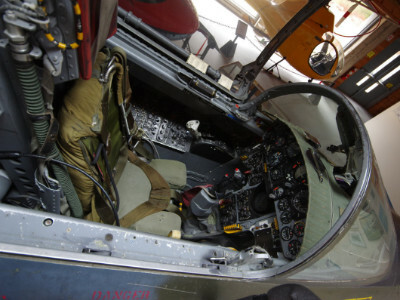 It was acquired from the Air Force in 1989. 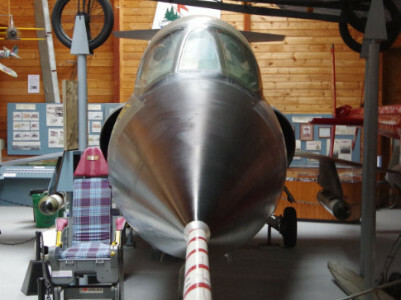 It remains one of the most complete CF-104 on display in Canada.